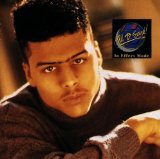 The Very Best of Al B. Sure! Rhino Hi-Five: Al B. Sure! Top Hit Covers - Recycled Classics! Who Sampled? History of Hip-Hop!